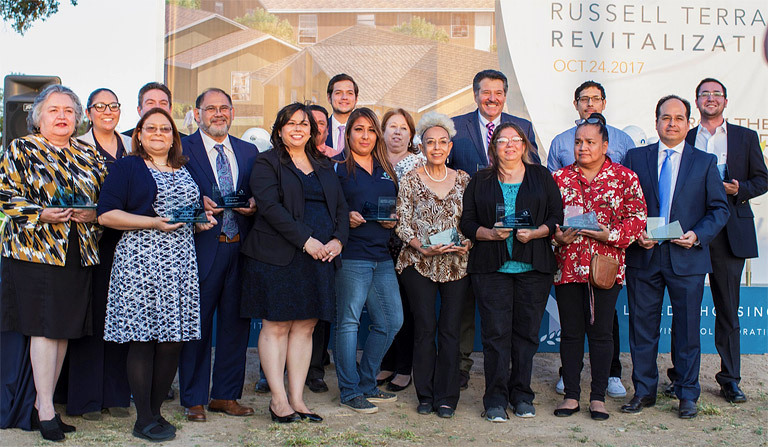 The Housing Authority of the City of Laredo celebrated the Russell Terrace Revitalization Project kick-off on October 24, 2017. The revitalization will consist of the reconstruction of 138 units and remodeling of 24 units to be executed in a domino effect over the course of two years. Pictured are the Champions that voiced the concerns of the Russell Terrace residents and advocated to keep their community intact.